Ashcroft Secondary School in Luton was identified as part of Wave 3 of the comprehensive Luton Building Schools for the Future programme. The existing secondary school was of extremely poor building stock which works against the promotion of a positive learning environment and actively encourages anti-social behaviour. 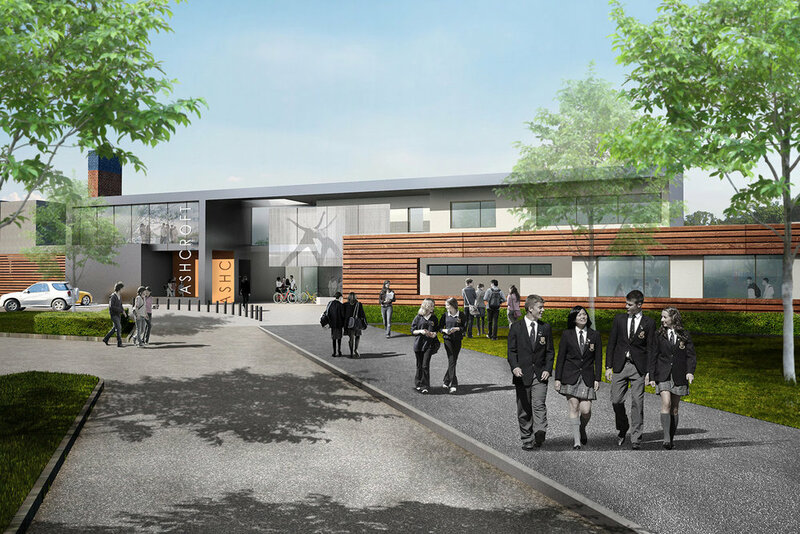 The design was based on the principle of achieving 80% remodelled space and 20% new build space to create a new learning community that supported the school’s pedagogic model. The design reflected the new teaching structure of four specialist houses around a central shared space that provides a focus and facilities for the whole school in addition to the wider community in which the school sits. The project was developed to be completed in a multi-phased manner ensuring that the school remained operational at all times and minimised the impact on the pupils’ learning experience.